The following excerpt about milk thistle is from The Natural Health Bible, From the Most Trusted Source in Health Information, Here is Your A-Z Guide to Over 200 Conditions, Herbs, Vitamins, and Supplements. This is one of the most medically conservative of all the natural health guides on the market today. You must keep in mind that the authors are medical scientists and are certainly more skeptical than an herbalist or holistic health practitioner would be. They make a point of balancing the good with the bad. They don’t just mention successful studies, they also mention less impressive ones. This makes their overall positive assessment of Milk Thistle particularly more meaningful. And they reference all of the studies they researched, which is extremely valuable. Incidentally, under the dosages heading, the authors specifically mention the reported superiority of the Phytosome® form of milk thistle extract (as found in Maximum Milk Thistle® and UltraThistle®). The seeds, fruit, and leaves of Milk Thistle are used for medicinal purposes. Over 2,000 years ago, Pliny the Elder reported that the juice of Milk Thistle could “carry off bile,” an insight that foreshadowed its modern uses. In Europe, the herb was widely used through the early twentieth century for the treatment of jaundice as well as for insufficient breast milk. Based on the extensive folk use of Milk Thistle in cases of jaundice, European medical researchers began to investigate its medicinal effects. The results led Germany’s Commission E to approve an oral extract of Milk Thistle as a treatment for liver disease in 1986. According to reports and some research evidence that we’ll review in the next section, treatment produces a modest improvement in symptoms of chronic liver disease, such as nausea, weakness, loss of appetite, fatigue, and pain. Liver enzymes as measured by blood tests frequently improve, and if a liver biopsy is performed, there may be improvements on the cellular level. 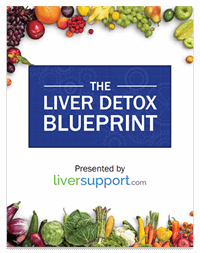 Some studies have shown a reduction in death rate among those with serious liver disease. Milk thistle is also used in a vague condition known as minor hepatic insufficiency, or “sluggish liver.”12 This term is mostly used by European physicians and American naturopathic practitioners-conventional physicians don’t recognize it. Symptoms are supposed to include aching under the ribs, fatigue, unhealthy skin appearance, general malaise, constipation, premenstrual syndrome, chemical sensitivities, and allergies. In Amanita mushroom poisoning, silybinin appears to dramatically reduce death rates, which are typically from 30 to 50%, down to less than 10%.13 This mushroom destroys the liver if left untreated. In conditions like this one, it isn’t ethical to perform double-blind studies. However, Milk Thistle seems to be so dramatically effective that its value is not disputed. On the basis of its extensive use as a food, Milk Thistle is believed to be safe for pregnant or nursing women and researchers have enrolled pregnant women in studies.30 However, safety in young children, pregnant or nursing women, and individuals with severe renal disease has not been formally established. No drug interactions are known. However, one report has noted that silybinin (a constituent of silymarin) can inhibit a bacterial enzyme called beta-glucuronidase, which plays a role in the activity of certain drugs, such as oral contraceptives.31 This could reduce their effectiveness. • Oral contraceptives: Milk thistle may reduce their effectiveness. • Medications that could damage the liver: Milk thistle might be protective.